After graduating with a degree in Animal Science & Industry from Kansas State University, my career emphasis was involved in cattle production and management. My knowledge and experience in production agriculture enabled me to make a smooth transition from cowboy to commodity broker, and agricultural marketing. 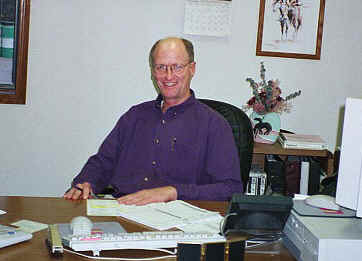 In the fall of 1989 I became associated with Schwieterman, Inc. as an account executive. After spending time working out of the home office in Garden City, Kansas, the opportunity became available to open a branch office in Scott City, Kansas. In May of 1991 I became the Branch Manager of the Scott City office. I am currently the branch manager in Manhattan, KS.